WDRA Recruitment 2019 - Job notification for Solution Architect & Senior Software Engineer/ Software Engineer/ Junior Software Engineer Posts in WDRA, New Delhi. 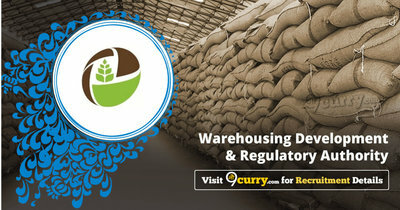 Applications are invited by Warehousing Development and Regulatory Authority on or before 03 May 2019 for 2 vacancies. Bachelor degree in Information Technology/ Computer Science/ Electronics & Communication Engineering from any recognized University or Institute of India or abroad, duly recognized in India Or Master’s degree in Computer Applications. 9 to 13 years of experience and a minimum of 6 years experience in Liferay development. a. Senior Software Engineer: 6 to 9 years of experience with a minimum of 4 years of experience in Liferay development. b. Software Engineer: 3 to 6 Years of experience with a minimum of 2 years of experience in Liferay development. c. Junior Software Engineer: 1 to 3 years of experience with a minimum of 1-year experience in Liferay development. Eligible candidates may send their application in prescribed format (attached below) to Under Secretary (Admin & Finance) (I/C), Warehousing Development and Regulatory Authority, NCUI Building, 4th floor, 3, Siri Institutional Area, August Kranti Marg, Hauz Khas, New Delhi - 110016 on or before 03 May 2019, along with a sealed cover superscripted “Selection of External Professional (IT)/ Consultant (IT) as Solution Architect/ Senior Software engineer/ Software engineer/ Junior Software engineer in WDRA for specified period”.